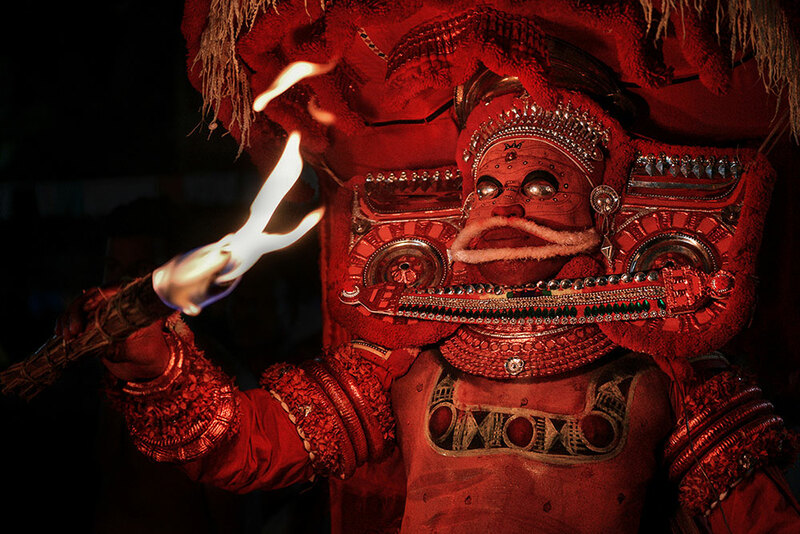 Theyyam is an ancient folk art form of north Malabar region of Kerala, India. 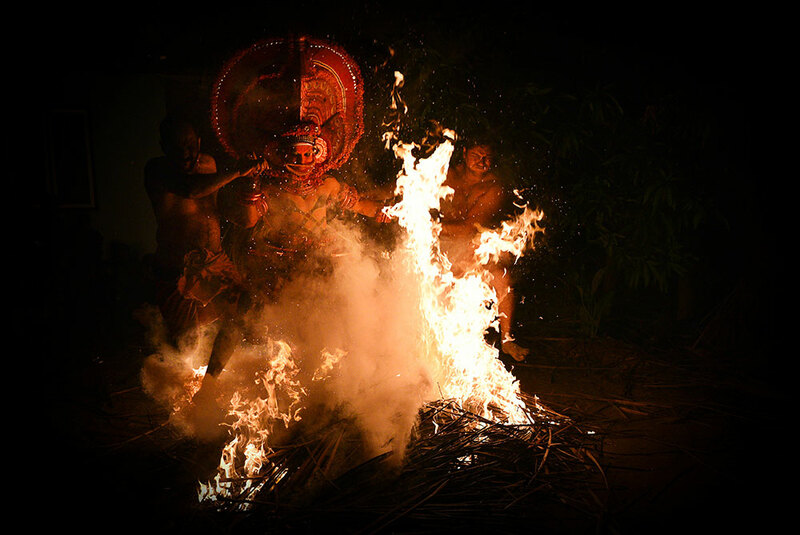 It is living culture of Kerala which can be traced back to several thousand years of rich tradition. 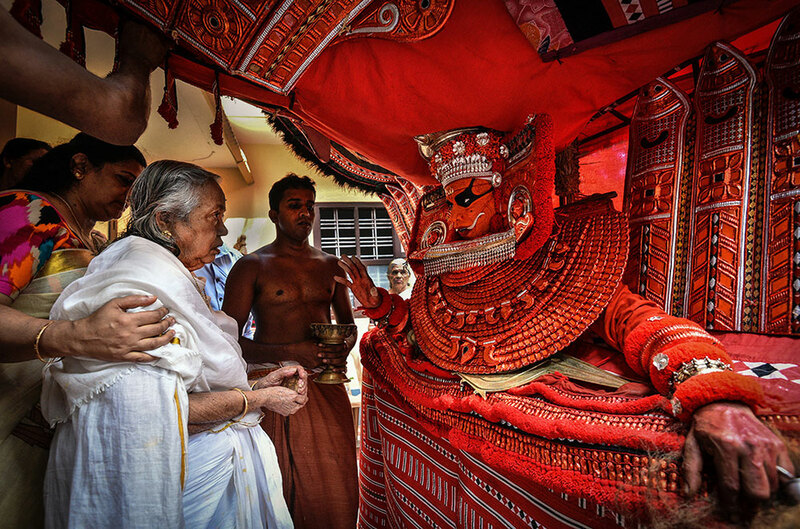 In many senses the Theyyam is often a form of historical documentation of the society. It is elaborate combination of dance, music, mime and passionate devotion. 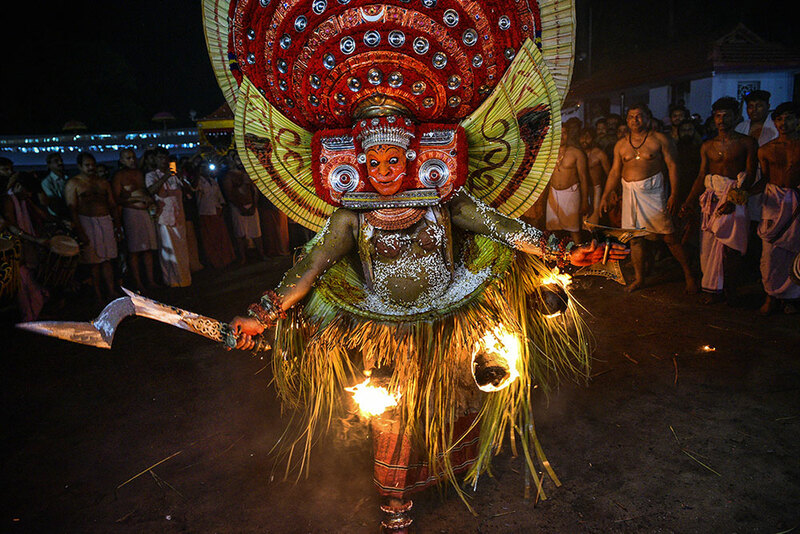 There are over 400 different Theyyams and each has its own music, costume, make up and dance style. 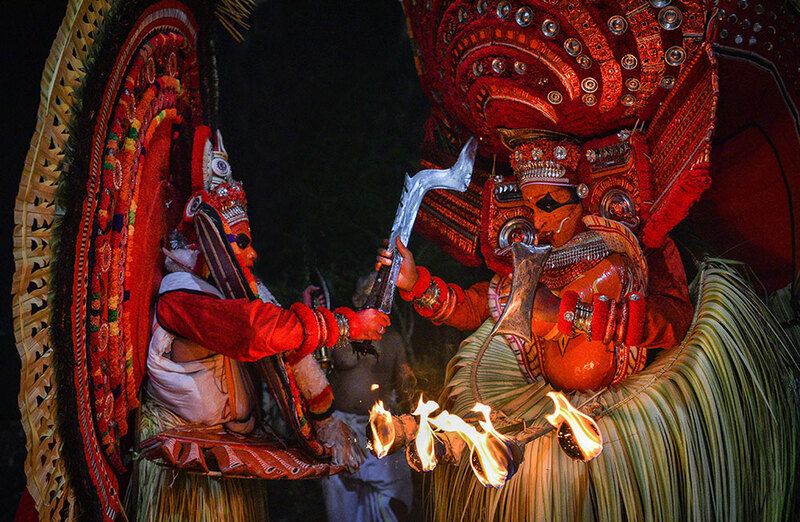 It is believed that while performing Theyyam, the artist becomes the representative of the local God. 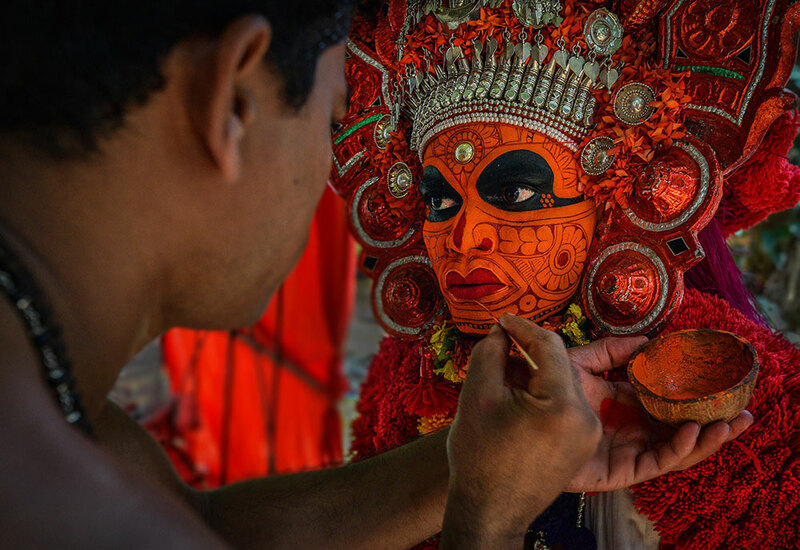 Theyyam artists spend years in learning the dancing skills and other delicate parts of the tradition like from how to make costumes to the delicate art of face painting. 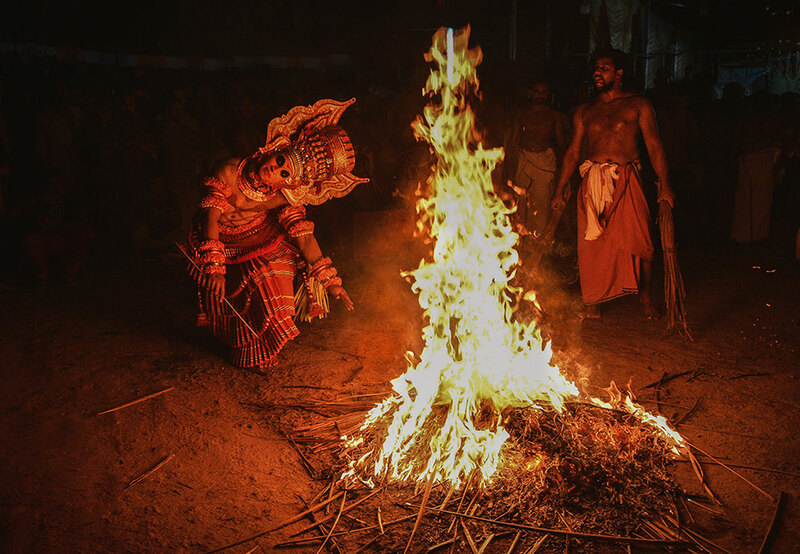 In the weeks leading up to a ritual, this dancer lived a life of purity. He consumed no non-vegetarian food or alcohol, nor did he lie or speak bad words to others. 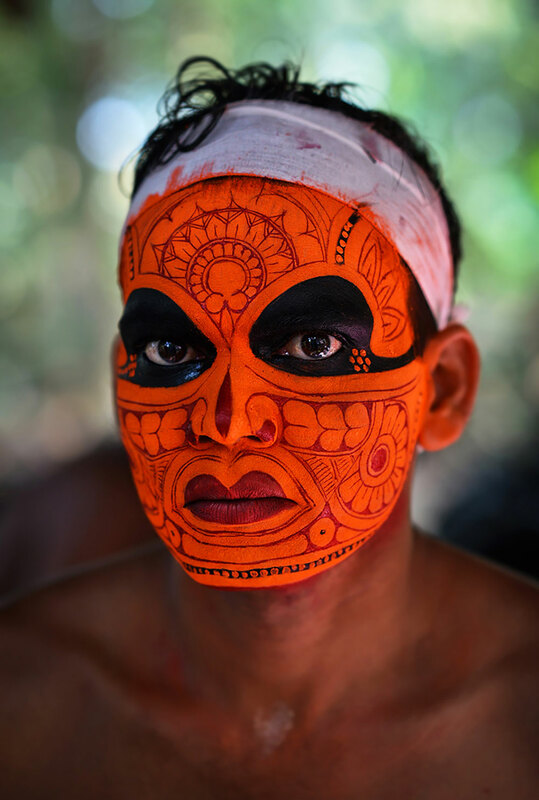 Theyyam performers wear heavy make-up, jewellery and very colourful costumes. The headgears, face painting, ornaments, dresses are truly majestic and create a larger than life impact on viewers. 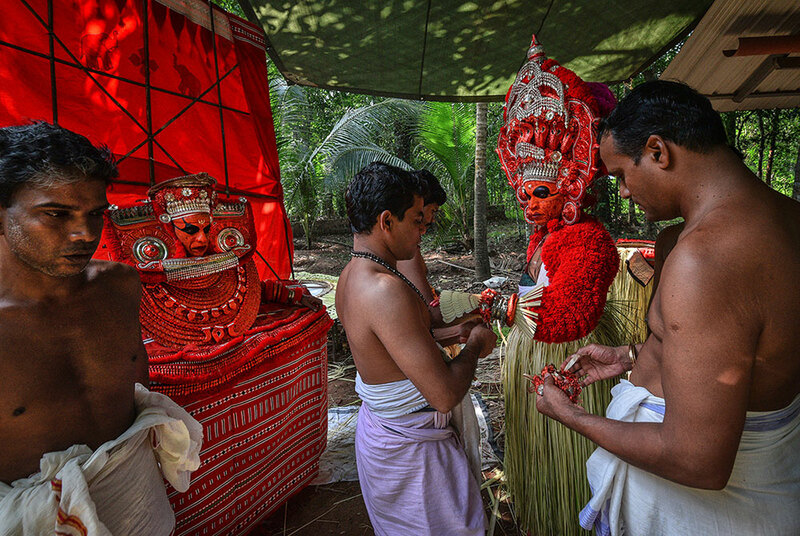 Local people consider Theyyam artists as God and seek blessings from them after the performance. 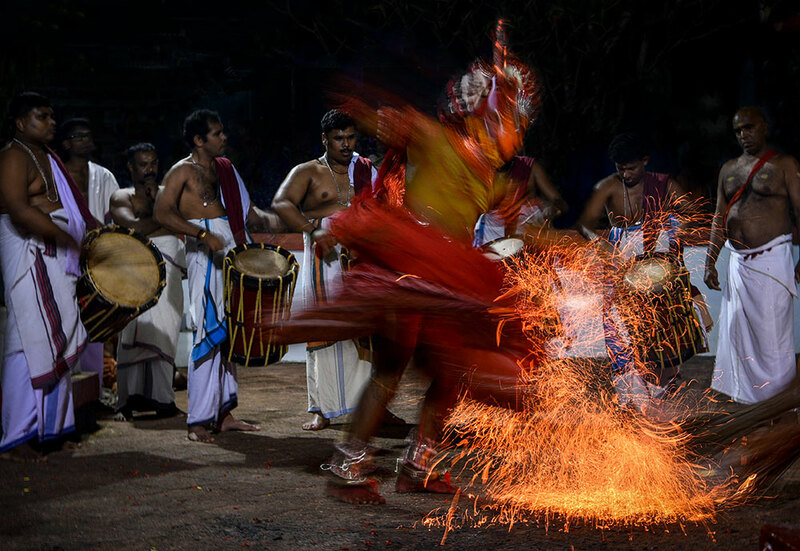 These rituals can go on for hours, depending on how long it takes for the artist to enter a trance as he dances and spins to the drums. 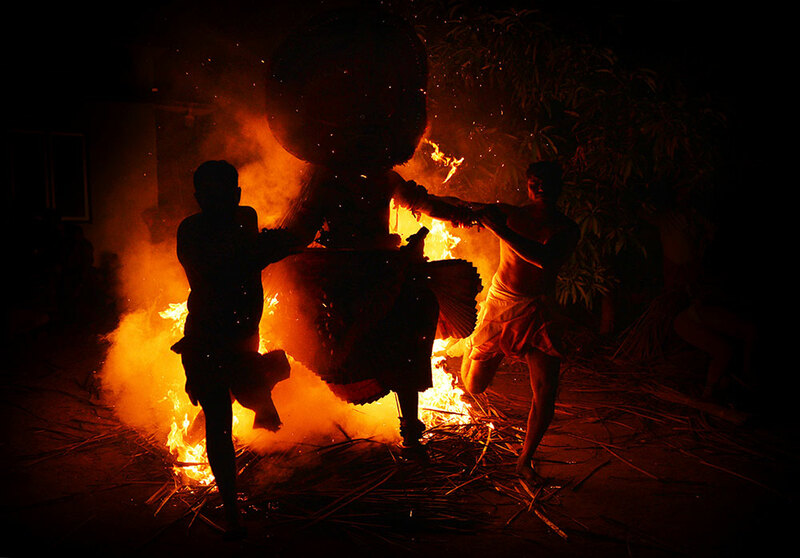 Tania Chatterjee is an eminent photo artist from city of joy Kolkata, India. She is practicing photography since last 7 years winning many awards and accolades. Presently she is Co-Founder and mentor for a photography organisation named FOTORBIT (www.fotorbit.com). She organizes several photo tours, walks and classes for enriching upcoming artists. 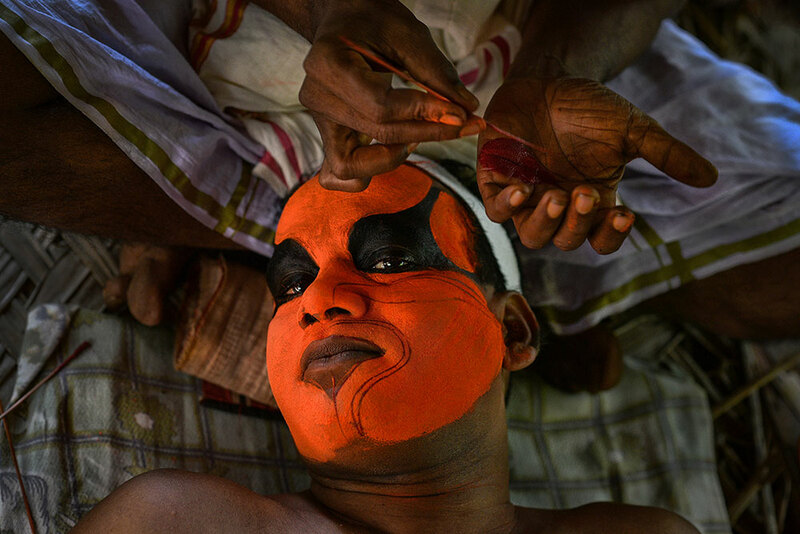 Her niche subjects of photography are people, culture, travel and documentation. Her works has been exhibited in almost all major cities in India and near about 35 counties. Her photographs has been published by several national and international agencies like 121clicks.com, Dodho Magazine, Photojournel, Inspiro Magazine, Life Force Magazine, Edge of Humanity Magazine, Eyeshot Magazine, Bengali travel Magazine AajKal Sofor, ON Stage Magazine of National Centre Performing Art Mumbai, Photobrust, Muhammad Ali Center (Shinning a Light Contest, 2016), Winner of “Being a Girl” Travelling Photo Contest, 2016 supported by Govt. of India Initiative “Beti Bachao Beti Padhao”, UNFPA India, UN Women India, National Foundation for India and many more. I have won West Bengal Government Information and Cultural Department’s State Level Photography award (2016-17) and nomination award from prestigious The Humanity Photo Awards, 2017(HPA) supported by UNESCO. Recently she have received WAD Asia 2018 Award under professional photography category. 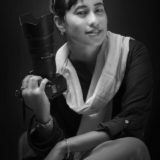 She has been appointed as jury member in different national and international photography contests. For her photographic achievements, she has bagged distinctions like EFIP (Excellence FIP) from Federation of Indian Photography and EFIAP (Excellence FIAP) from Fédération Internationale de l’Art Photographique (France) Recognized by UNSECO.